Fremont Therapy Group has been serving the Riverton and Lander communities since 1996. We expanded to Green River in 2014, Rawlins in 2015 and Rock Springs in 2017. All of our clinics offer orthopedic therapy, pain management, aquatic therapy, neurological rehabilitation, and cardiovascular conditioning, as well as therapies that address sports and work related injuries, hand, neck and back pain and injuries, women's health, balance problems and vestibular dysfunctions. Our physical therapists offer one on one care to all patients. Fremont Therapy Group LLC was founded with the vision of providing the best evidence-based physical thearpy and occupational therapy solutions to our patients in the most advanced, appropriate environment. Separating us from many of our competitors is our focus on employing only highly skilled and qualified staff and providing state-of-the-art facilities in which to practice. In 2003, we invested in the Lander community by building a brand new 3,500 square foot facility with a heated therapy pool, private treatment rooms and an expansive gym area. For the safety and convenience of our patients, we incorporated heated sidewalks and a fully handicap accessible entrance. In 2005, we completed the construction of our 6,000 square foot facility in Riverton, which includes a more advanced therapy pool. 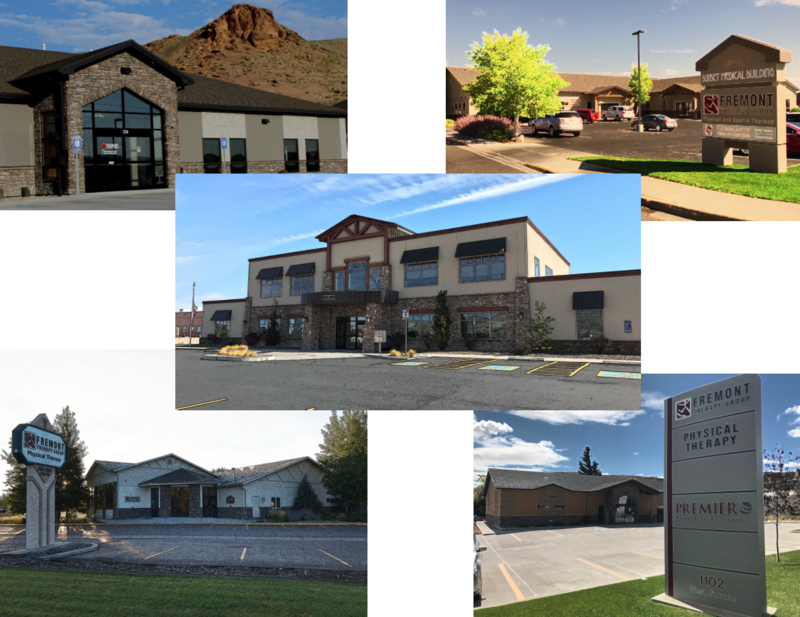 Our Rawlins clinic was completed in May 2015, and our new facility in Green River was completed in April of 2017. Our staff are the most important part of our identity -- essentially they are "us" . Because of this, we work hard to find and keep excellent staff who will provide the best services possible to our patients. At Fremont Therapy, you will always be seen by a licensed Physical Therapy professional. Many of our PT's have taken advanced training in a variety of related areas or have earned post-graduate degrees. As a result, we have been fortunate that many staff have chosen to stay with us for extended lengths of time and many have made working with us a career decision. With more than 25 licensed therapy professionals on staff, patients are assured access to a therapist with the advance training and skills to competently address their needs. The breadth of our staff also ensures flexible, timely scheduling and continuity of treatments.